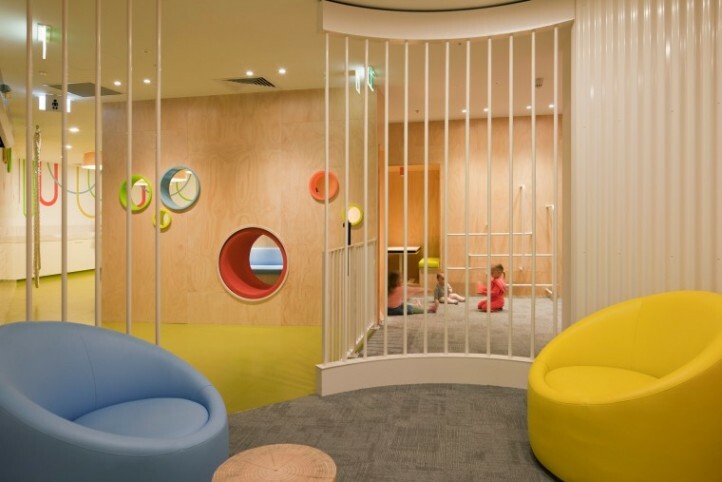 The Melbourne Central Parents Retreat is a luxuriously appointed public facility that provides a welcoming and playful space for families. 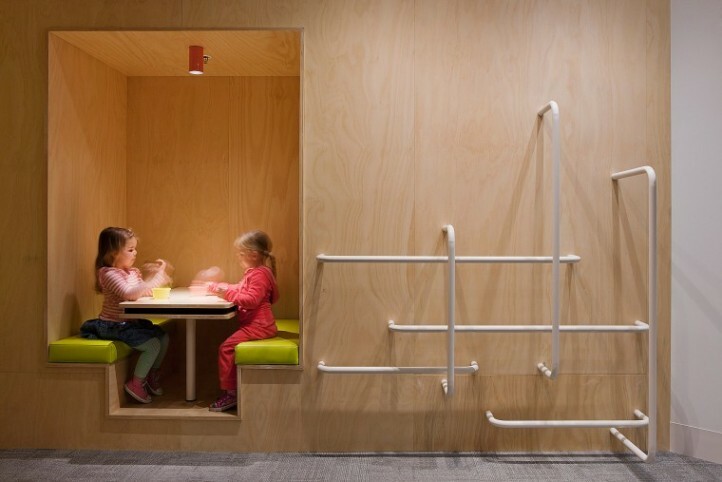 The brief called for three key zones: a wet area for toileting/baby change; a feeding/play area; and a retreat lounge as a waiting or alternative feeding area. While the project required a highly practical solution, ensuring children’s safety, adequate sight lines, and low maintenance wet areas, the emphasis was on peace and play. This is not a utility space, which is used and then left; rather, it encourages people to linger, children to play and parents to recharge. 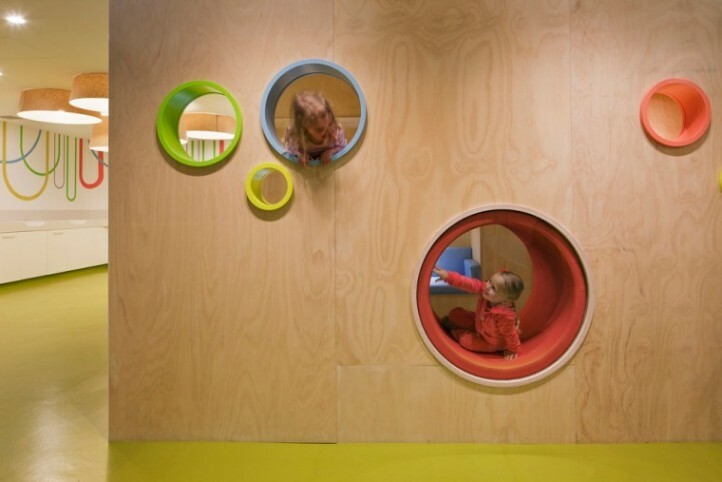 Key to the concept was the aim to preference local suppliers, and to use low tech and sustainable materials, with bespoke play equipment unique to the project. 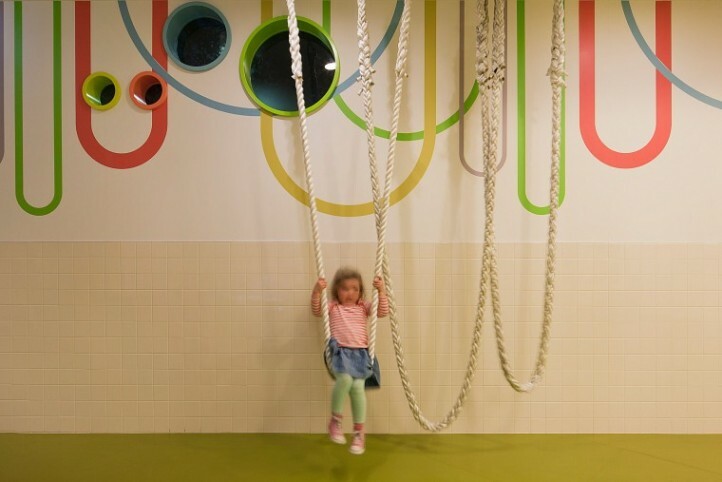 A vibrant colour palette delineates and connects zones for easy navigation, whilst the custom designed play equipment entices children to engage with the space physically.